The Valentina Bedroom Collection is handcrafted in Italy using centuries-old techniques handed down through generations of artisans. Finished in burled ash with silver leaf accents this bedroom set is truly a masterpiece. The GV2090 Mirror adds to the elegance of this collection and is sold separately. The Valentina Bedroom Collection is handcrafted in Italy using centuries-old techniques handed down through generations of artisans. 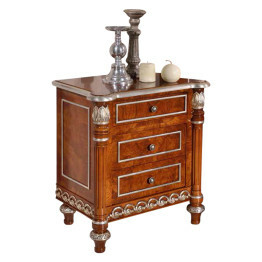 Finished in burled ash with silver leaf accents this bedroom set is truly a masterpiece. 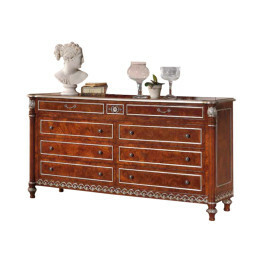 The eight-drawer chest offers plenty of room for your wardrobe. 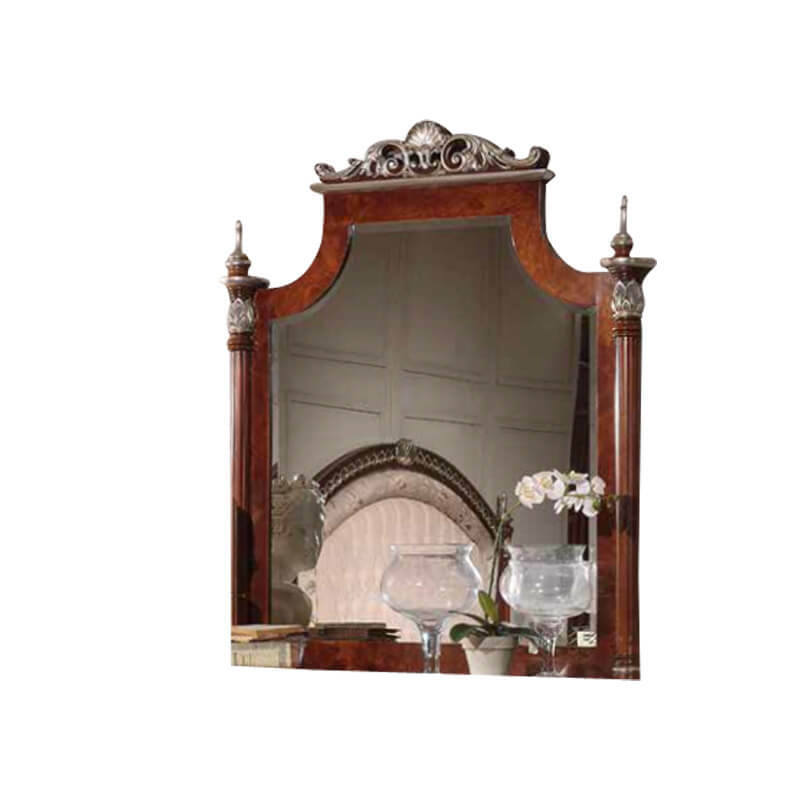 The GV2090 Mirror adds to the elegance of this collection and is sold separately. The Valentina Bedroom Collection is handcrafted in Italy using centuries-old techniques handed down through generations of artisans. 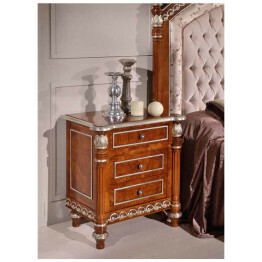 Finished in burled ash with silver leaf accents this bedroom set is truly a masterpiece. 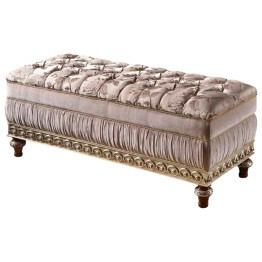 The Bench at the foot of the bed is quilted with your choice of fabric from our fabric page. This bench is a great accent piece that you is a tradition for Italians. The Valentina Bedroom Collection is handcrafted in Italy using centuries-old techniques handed down through generations of artisans. 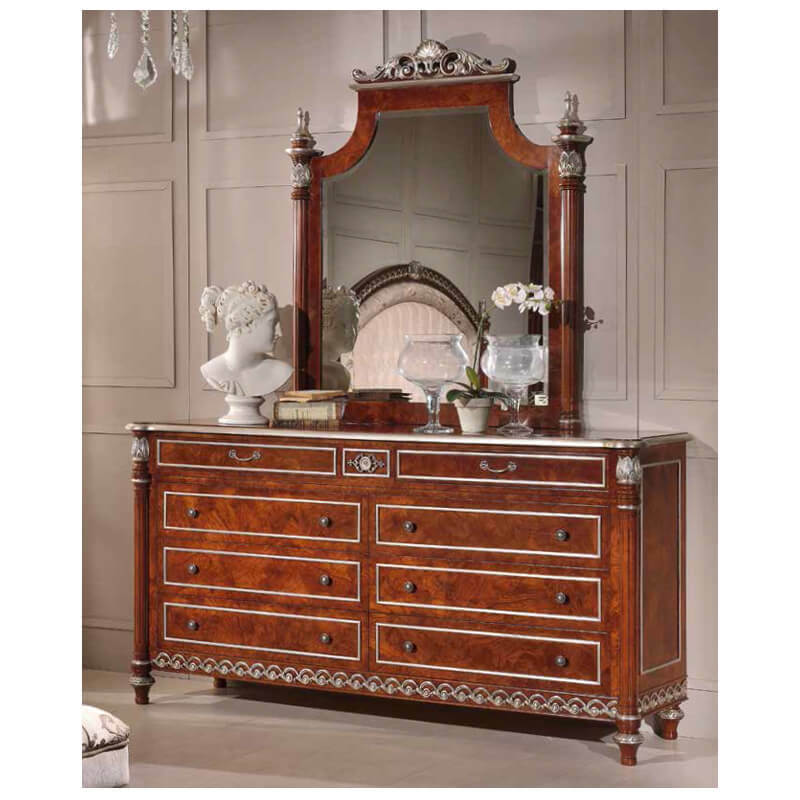 Finished in burled ash with silver leaf accents this bedroom set is truly a masterpiece. The King size bed can be made in a Queen bed. 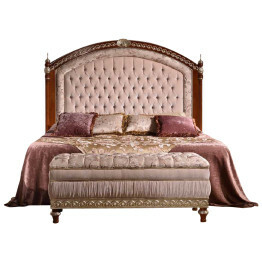 The 70″ tall quilted headboard makes this a magnificent centerpiece to any master bedroom. The Valentina Bedroom Collection is handcrafted in Italy using centuries-old techniques handed down through generations of artisans. Finished in burled ash with silver leaf accents this bedroom set is truly a masterpiece. The Nightstands on each side of the bed have three drawers and plenty of room for storage.